What does the function y = x^x look like? If your answer works only for positive x, you get at most a B-. Hint: If you want help, click here. The NY Times profiles MIT's Jonathan Gruber. On Sunday, the United States gets a distinction no nation wants -- the world's highest corporate tax rate. Japan, which currently has the highest rate in the world -- a 39.8% rate on business income between national and local taxes -- cuts its rate to 36.8% as of April 1. 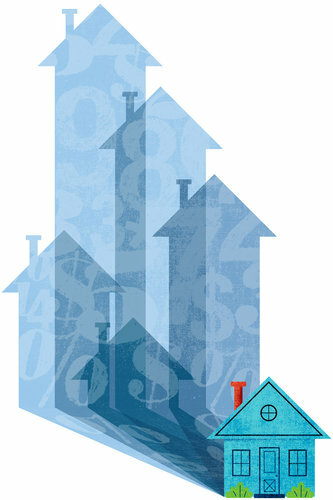 The U.S. rate stands at 39.2% when both federal and state rates are included. By Rachael Meager, via Joshua Gans. As regular readers of this blog may have noticed, I am a fan of musical theater. So I was intrigued when I heard about the new TV show Smash, which is a drama about the back-story of putting on a musical. It has not disappointed. Indeed, it has quickly turned into one of my family's favorite shows. I do recommend, however, starting the story from the beginning, rather than jumping in the middle. I have had good luck with streaming TV shows via Amazon. 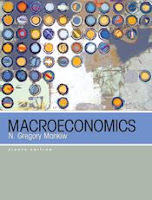 The 8th edition of my intermediate macroeconomics text will come out in June, ready for fall classes. One significant change in this edition is that some of the existing material has been reorganized. Over the past several years, monetary policymakers at the Federal Reserve have engaged in a variety of unconventional measures to prop up a weak banking system and promote recovery from a deep recession. Understanding these policies requires a strong background in the details of the monetary system. As a result, this edition covers the topic earlier in the book than did previous editions. A complete treatment of the monetary system and the tools of monetary policy can now be found in Chapter 4. The biggest change in the book, however, is the addition of Chapter 20, “The Financial System: Opportunities and Dangers.” Over the past several years, in the aftermath of the financial crisis and economic downturn of 2008 and 2009, economists have developed a renewed appreciation of the crucial linkages between the financial system and the broader economy. Chapter 20 gives students a deeper look at this topic. It begins by discussing the functions of the financial system. It then discusses the causes and effects of financial crises, as well as the government policies that aim to deal with crises and to prevent future ones. All the other chapters in the book have been updated to incorporate the latest data and recent events. If you want more information about the new edition, click here. To see the new chapter on the financial system, click here. Brad DeLong and Larry Summers on fiscal policy. Unfortunately, because of a family commitment, I missed the Brookings meeting where this paper was presented yesterday. Update: Scott Sumner comments on the paper. As seen by my Harvard colleague Martin Feldstein. From Matthew Yglesias. By the way, I have read the book--not for the economics, but because it is my 13-year-old son's favorite novel. Yoram Bauman's Principles of Economics, Translated has exceeded 1 million views on YouTube. A clear application of difs-in-difs methodology. By the way, Karthik was a grad student at Harvard not long ago. Update: Obviously, this is a joke. If anyone was truly offended, I express my surprise, and I offer my apology. On Sunday, my family and I saw Les Miserables, which is touring the United States and is now in Boston. It is one of my favorite musicals, and I have seen it many times. This revival was particularly fun, however. The staging has been significantly altered from the original production. (The revolving stage is gone, for example.) This change was enough to give the performance a certain freshness that made me feel like I was seeing the play again for the first time. Once, when I mentioned to one of my Harvard colleagues how much I like Les Mis, he expressed surprise. He had not seen the play, but based on what he had read, he thought it had a heavy-handed left-wing theme, which he thought I would find off-putting. From my perspective, while the play has a strongly political setting, it is not really about politics at all. Instead, it is about the potential and power of personal redemption in the face of adversity. The theme of the show is summed up in a line from the protagonist Jean Valjean near the end: "To love another person is to see the face of God." That moves me every time I hear it. Bo Xilai, the brash Communist Party chief of China’s sprawling Chongqing municipality, has been removed from his post....The news, announced Thursday morning in a brief dispatch by the official Xinhua news agency, said that Vice Prime Minister Zhang Dejiang, a North Korean-educated economist, would replace him as Chongqing party secretary. I wonder: What is economics education like in North Korea? ... has good taste in textbooks. My article in the NY Times from a couple weeks ago. Uwe Reinhardt comments on my article. Steve Landsburg comments on Uwe's comment. This NY Times article gives an update on San Francisco's attempt to set parking prices closer to levels that equilibrate supply and demand. From the always reliable Roger Lowenstein. A thoughtful essay from Brad DeLong. I recently learned that Google Scholar lets people set up personalized pages. You can find mine here. You can find other economists who have signed up, ordered by total citations, here. You can learn how to set up your own page by clicking here. Really. As far as I know, he is the first economist to run for president directly from an academic position (rather than running for the House or Senate first, as Phil Gramm did). 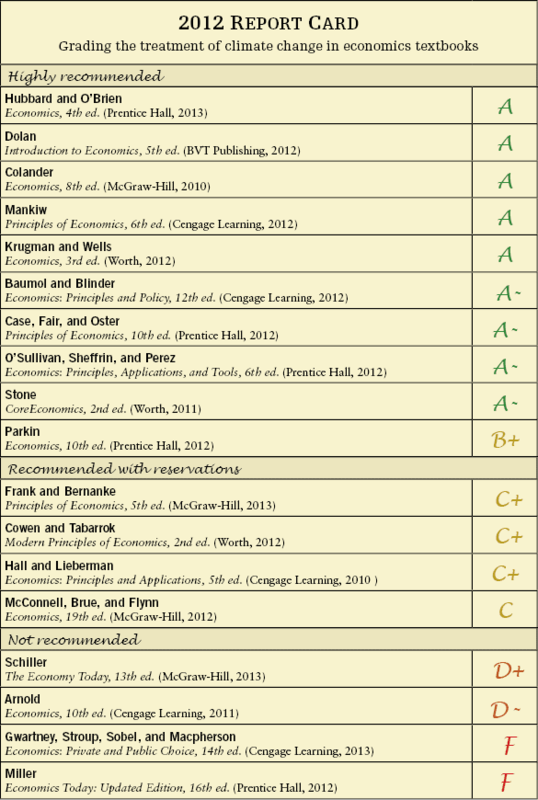 My favorite macro textbook for upper-level undergraduates and first-year graduate students is Advanced Macroeconomics by David Romer. I learned recently that his chapter on DSGE models is available as a free sample. You can read it here in pdf format. In the summer of 2008, the Obama campaign's two top economists proudly proclaimed that their candidate favored a dividend tax rate of 20 percent, "lower than all but five of the last 92 years." Well, that was then. In a sharp break from that campaign stance and the Administration's first three budgets, President Obama is now calling for an all-in dividend tax rate of almost 45 percent, the highest rate in 27 years. The president's about-face bodes ill for the economy. While the president's proposal raises dividend tax rates only on high-income stockholders, Americans at all income levels will feel the economic impact of the tax hike. Higher dividend taxation will impede the investment that fuels long-run growth, depress stock prices, and weaken incentives for good corporate governance. The president's proposal would allow the 2003 dividend tax cut to expire for high-income households at the end of the year, pushing the top dividend tax rate up from 15 to 39.6 percent. That's a dramatic increase in its own right. But, other provisions make the true increase even larger. The president also wants to bring back a provision phasing out deductions for high-income taxpayers, which will cause each additional dollar of dividends to trigger 1.2 cents of extra taxes. And, beginning next year, the president's health care law will impose an additional 3.8 percent tax on dividends and other investment income of high-income households. Under the president's proposal, the top all-in dividend tax rate will be 44.6 percent - almost triple today's 15 percent rate. 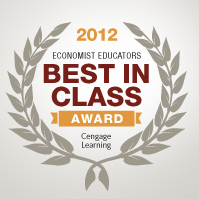 The publisher of my favorite textbook is sponsoring an award for economics educators. If you have a classroom technique that is particularly noteworthy, you might win several thousand dollars and a trip to a teaching conference in Orlando. Click here for information. Only one of us is Director of the Congressional Budget Office. If you think you might be interested, please come to one of the information sessions we are holding. Tuesday (tonight) at 6:30 pm in the Littauer 3rd floor lounge. Wednesday (tomorrow) at 6:30 pm at KSG Taubman 275. Click here to read my column in Sunday's NY Times. The piece is an attempt to explain the taxation of carried interest and is more pedagogical than opinionated. For the truly wonky who want to learn more about this topic, I recommend this article by Alan Viard. What amazes me is the public’s blasé acceptance of the salaries of sports stars, compared to its low regard for superstars in business and finance. Half of all NBA players’ annual salaries exceed $2 million, more than five times the threshold for the top 1% of household incomes in the United States. Because long-time superstars like Kobe Bryant earn upwards of $25 million a year, the average annual NBA salary is more than $5 million. Indeed, Lin’s salary, at $800,000, is the NBA’s “minimum wage” for a second-season player. Presumably, Lin will soon be earning much more, and fans will applaud. Yet many of these same fans would almost surely argue that CEOs of Fortune 500 companies, whose median compensation is around $10 million, are ridiculously overpaid. If a star basketball player reacts a split-second faster than his competitors, no one has a problem with his earning more for every game than five factory workers do in a year. But if, say, a financial trader or a corporate executive is paid a fortune for being a shade faster than competitors, the public suspects that he or she is undeserving or, worse, a thief. In case you are curious: Yes, Jeremy Lin did take ec 10.